Australian Treated Pine has supplied the nation with quality treated Pine products for over 30 years now. Located in the Melbourne’s northern suburb of Somerton, our sales and production facility is home to more than six acres of quality treated pine products (See contact page for further location details). 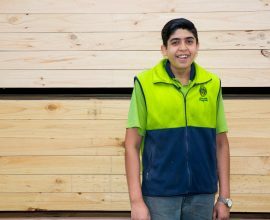 Australian Treated Pine has Melbourne’s largest fully automated, state of the art timber preservation facility, ensuring that you receive only premium quality treated products. Our unique sawmilling facility allows us to cater for those unusual or non-standard sizes and lengths, allowing us the flexibility to meet your size requirements regardless of commercial availability. Our clients include builders, landscapers, construction companies, fencers, architects, shire councils, parks and gardens, developers and most importantly the home handyperson and DIY market. Our philosophies include the fact that no order is too big or too small and that service is most definitely the key to our success, separating us from the rest! Our product range is second to none and includes: sawn timber, dressed timber, rougher header timber, rural fence poles, perfect round poles, lattice, garden sleepers, domed bollards, fence extensions, capitols, weather boards, lining boards, flooring, timber deckings, oils and stains and a range of hardware and cement to complete your project. All this and much, much more! We trust you will find our website very informative as it will help you prepare for that all important project, large or small. If you have any questions or require further advice, our expert sales staff will be more than happy to assist you with your enquiries..
Paz is a Timber Guru with over 30 years of experience in the Timber Industry. 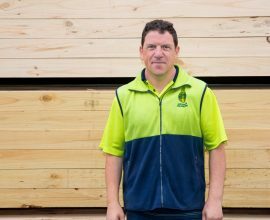 He has been working with Australian Treated Pine for last 17 years. He is extremely knowledgeable, friendly & customer service focused who always delivers on what is promised. You can rely on him to get the best advice related to your project. Ensures that our customers get what they require to finish their project.